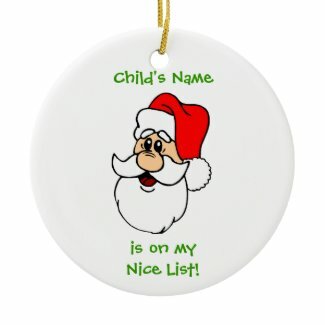 At Christmas Letter Tips.com, you’ll find two free printable Santa letters. The letters are saved as a .pdf file, so you can’t edit them, and the designs are plain. One features Santa and his reindeer flying, and the other features a small image of Santa Claus. The plain design and pdf format are obviously designed to encourage users to select one of the Santa letters that are saved as Microsoft Word documents so you CAN edit them and even use them for more than one child. At only $3.99, that’s certainly a great deal if you’ve got two or more kids. 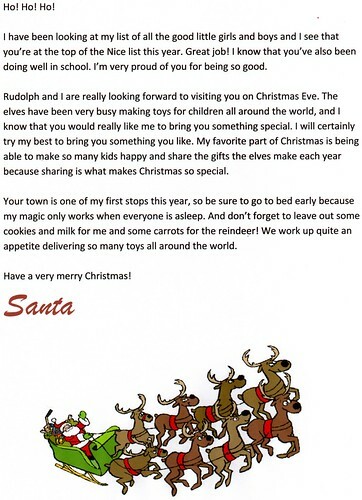 In addition to the free printable Santa letters and the premium Santa letters, you’ll find a free Dear Santa letter template so your kids can write to Santa Claus, as well as a printable Santa’s Nice List certificate so they can see how their good behavior has paid off. If you’re interested, they also offer Christmas letter templates and articles about the holidays.